Susannah studied yoga as a child and grew up within the Yogic tradition. She is an intuitive teacher. Her classes are fun, challenging and yet also deeply relaxing. Susannah brings a deep and broad mix of styles and traditions to her teaching and everyone is encouraged to work at their own pace as every ‘body’ is different. 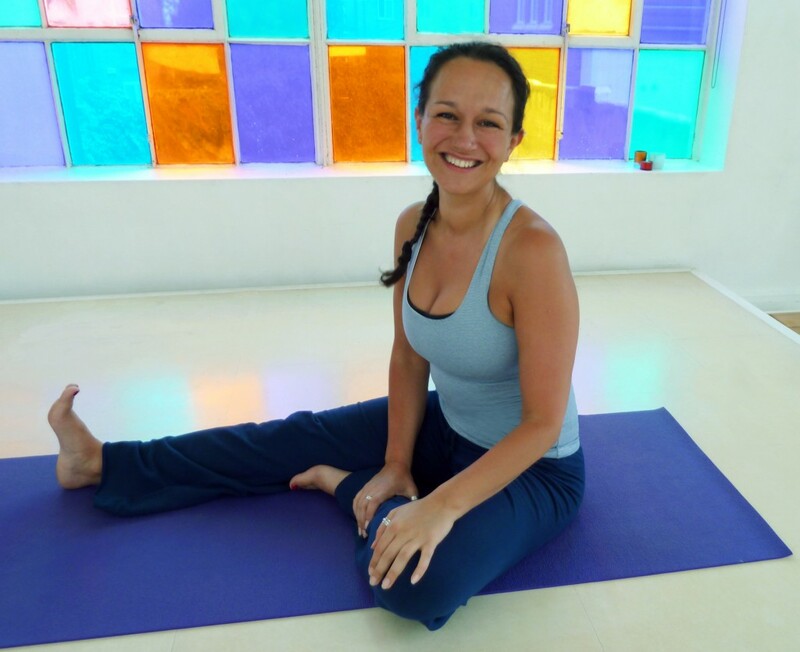 Susannah currently teaches adult yoga, children, toddlers, pregnancy and baby massage classes at Triyoga in London alongside running courses, workshops, teacher training and Yoga holidays as well as teaching students privately. Susannah also created the Teaching Yoga to Children course at Triyoga. Accredited by Yoga Alliance Professionals UK. She is also author of the best seller ‘ yoga for Kids’ published by DK and available from Amazon and all good bookshops. Susannah is a fully qualified British Wheel of Yoga teacher and registered as a Senior Yoga Teacher with Yoga Alliance Professionals UK. She is also a fully trained pregnancy yoga teacher, having trained with BWY pregnancy yoga expert Wendy Teasdill and Midwife Sylvia Bowler. As well as being and experienced Doula (Birth Partner) having trained with renowned Obstetrician Michel Odent in 2002. To date Susannah has assisted 17 births, and on one occasion was blessed to experience delivering a baby on her own as he decided to arrive before the midwife. She is also a mother herself. “It is Susannah’s totally honest and open approach to Yoga that has attracted me to her teaching. Somehow, she awakens the true nature of the individual from the core dismissing any superficiality. Sally Baker, Yoga Teacher Training Trainee. “I had the pleasure of studying under Susannah for 2 years as a private student. When I first started I had very little knowledge of both the physical and the spiritual aspects of Yoga but with Susannah’s experienced guidance I advanced in my practice and gained both physical health and a much better understanding of myself. Anna Jerstrom, Yoga Teacher and Surfer. “Susannah’s classes have a laid back and relaxing atmosphere but at the same time she is an extremely supportive teacher and always makes sure that we know how to approach postures safely. That’s a difficult balance to strike but it seems to come naturally to her. Wendy Sigle-Rushton, Yoga Class Student.